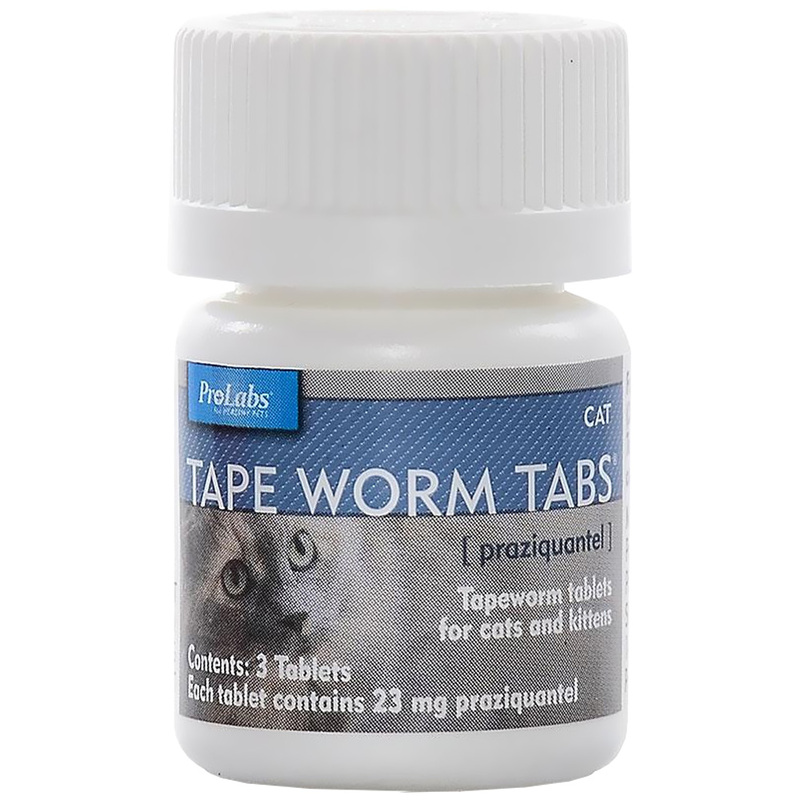 Tape Worm Tabs® (praziquantel) from Pro Labs is a powerful tapeworm killer for cats. These tablets are effective against common tapeworms, including Taenia taeniaeformis and Dipylidium caninum. Tapeworms are one of the most common parasites seen in cats and kittens, and Tape Worm Tabs helps to eliminate them quickly. 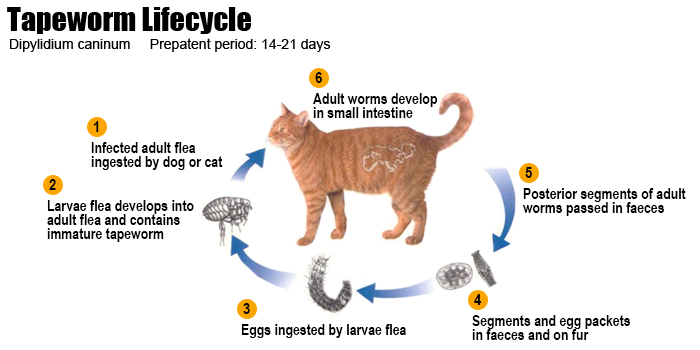 Tapeworms can come from any number of sources, from flea (who often carry tapeworm eggs) to cats eating rodents that are infected with tapeworm larvae. Fortunately, no matter what the source, Tape Worm Tabs works to quickly erradicate them. 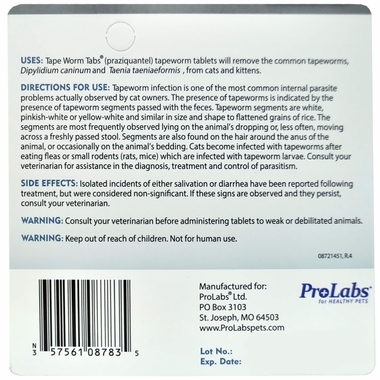 Tape Worm Tabs contains praziquantel, a powerful anthelmintic that is effective against tapeworms and flatworms. 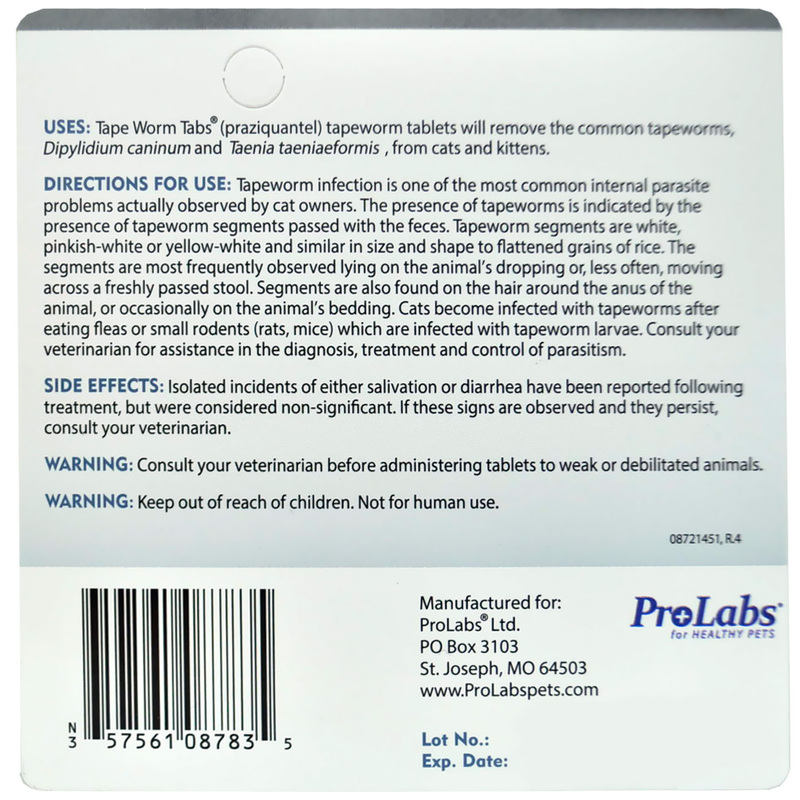 Tape Worm Tabs is the only FDA approved praziquantel for over the counter use, with no prescription required! 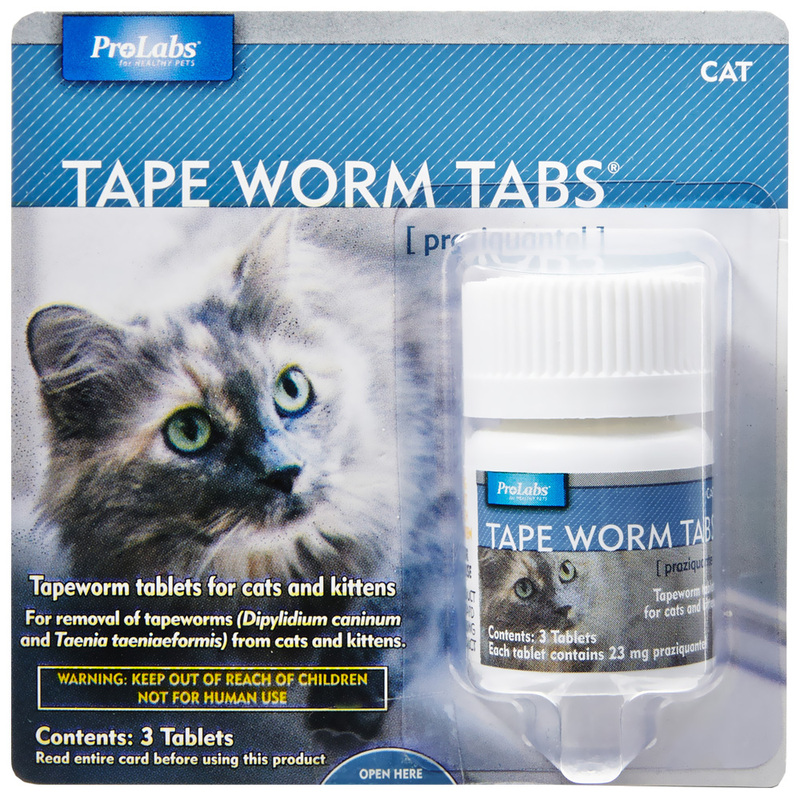 Tape Worm Tabs are easy to use, just feed the tablets to your cat orally as directed based on the size of your cat or kitten. Once the tablets take effect, any tapeworms in your cat's digestive system will be dislodged and be released with your cat's feces, typically on the surface of the stool. Provide your cat with quick tapeworm relief today with Tape Worm Tabs®!